Where would we be without saws? This may seem like a silly question, but it is actually quite an intriguing one. For one thing, every home and building you have ever seen would cease to exist. No manmade structure would be possible without the use of saws. While animals have adapted incredibly to the environment, modern humans wouldn’t be anywhere if it weren’t for simple tools like this. It is pretty mind-boggling when you stop to think about it. With the importance of saws in our culture, everyone should know how to safely use and operate a saw. Even if you are not a carpenter or professional contractor, it will serve you well to have an understanding of how these devices work. Most people can get by just fine with a couple of saws in the garage. You probably have a miter saw, for instance, which is commonly used for cutting through wood and similar materials. The key advantage to using this type of saw is that you can make precision, angled cuts as well, as opposed to just straight lines. Other must-have saws include metal saws and jigsaws. Hacksaw: as rudimentary as it may seem, this saw can be used for a wide range of purposes. The blade is fixed with numerous serrations, making it excellent for gripping and cutting through wood, plastic and metal. Miter saw: these are the saws that can be used to make various cross cuts at numerous angles. The blade is set inside rollers, allowing it to come down when the handle is lowered. These saws feature a plastic cover to reduce the risk of injury and to prevent debris from spraying upward. 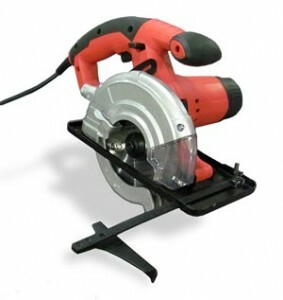 Circular saw: these handheld saws are used the most by carpentry contractors. They can be equipped with various blade types, which allows for them to be used for cutting through stone and metal as well. Cutting edge saw: instead of cutting down through material, this device is used to make accurate horizontal slices through rebar, pipes and conduit. It is handheld and features a left-side grip for stability purposes. Mini-metal saw: this device can be considered a specialty version of a miter saw, as it features a rotating blade with basically the same setup operational-wise. As the name suggests, this saw is used to slice through lighter gauge metal and all-thread. Jigsaw: woodworkers have long used jigsaws for making custom cuts. The blade is thin and flexible, allowing the user to make precision turns vs. straight cuts. When you have a project that entails odd or uneven shapes, the jig is a must. Bandsaw: this is a stationary saw that is made for cutting through wood, meat, bone and other similar materials. The blade is long and is attached to rotating wheels that allow it to quickly move up and down.